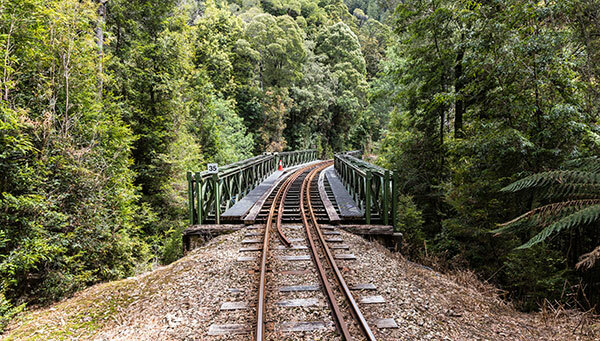 The West Coast Wilderness Railway is an incredible experience in Tasmania. 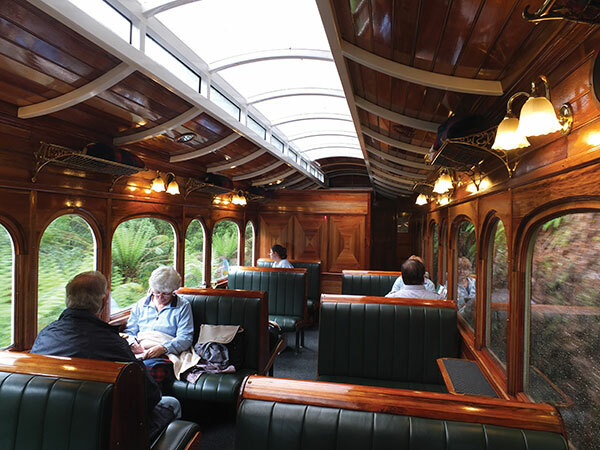 Explore astoundingly stunning wilderness and step back through history aboard one of the majestic steam trains departing from Queenstown Station. Journey deep into the forests and mountains of the wild West Coast. Discover the history of the people – how the Feud of the Irishmen helped to shape the isolated and rugged region of the iconic and resilient local spirit that was born. It’s a must do experience and the beautiful old but well maintained locomotives make it possible. 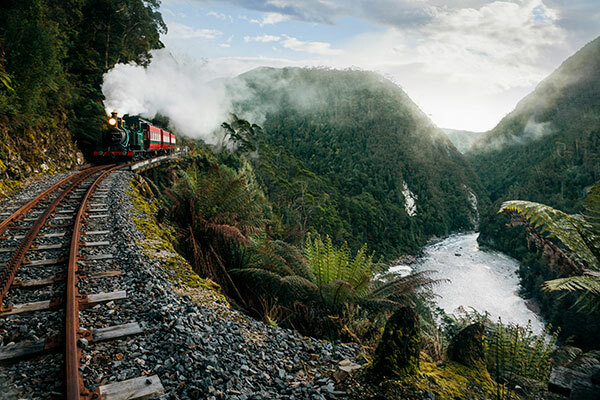 Unlike modern trains, these locomotives chug along at a steady pace, and while capable of going faster, the speed is perfect for taking in the stunning scenery as it slides past, and, incidentally, is also great for taking photos. The windows remain open if the weather is amenable, and the breeze and atmosphere on the train is a fantastic experience. Misty rainforest gives way to jaw dropping heights and magnificent gorge vistas. Only Tasmania could be so lush and green. It’s truly the wild and the train offers a unique way to experience it. Be greeted and charmed by the proud and experienced operators as they take you on a journey through history. There are many fascinating stories and a rich history surrounding the railway, the overall theme that of triumph over adversity. 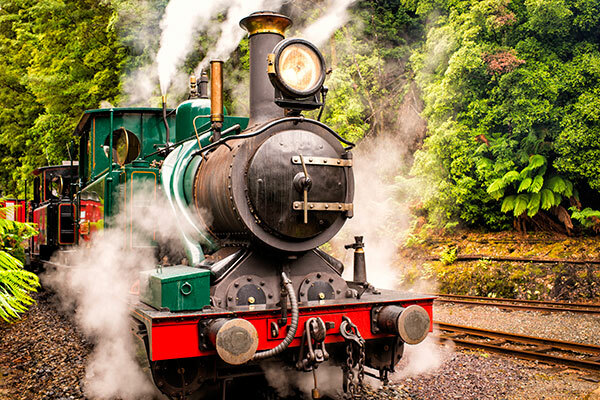 Visit the West Coast Wilderness Railway website for bookings, timetables, pricing and more information.